Ever since my spur-of-the-moment trip to Havana, Cuba with TPG International Contributor Lori Zaino back in January 2015, I’d been wanting to head back to Cuba and do more exploring. Visiting only Havana is like going to Times Square and feeling confident you’ve seen the whole US. This time around I did things with just a bit more organization. I enlisted the help of expert Cuban luxury travel agent Johnny Considine from Esencia Experiences, who lives in Cuba and was instrumental in helping me book charter flights through Cuba Travel Services and organizing a three-day set of activities and transportation. He also helped book my Cuban accommodations at casas particulares (homestay rentals). 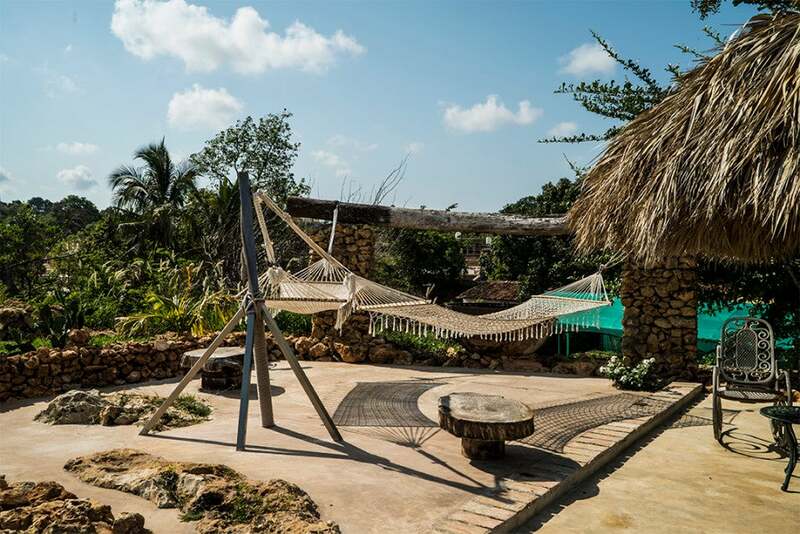 Authenticity galore at Finca Kenia in Trinidad, Cuba. 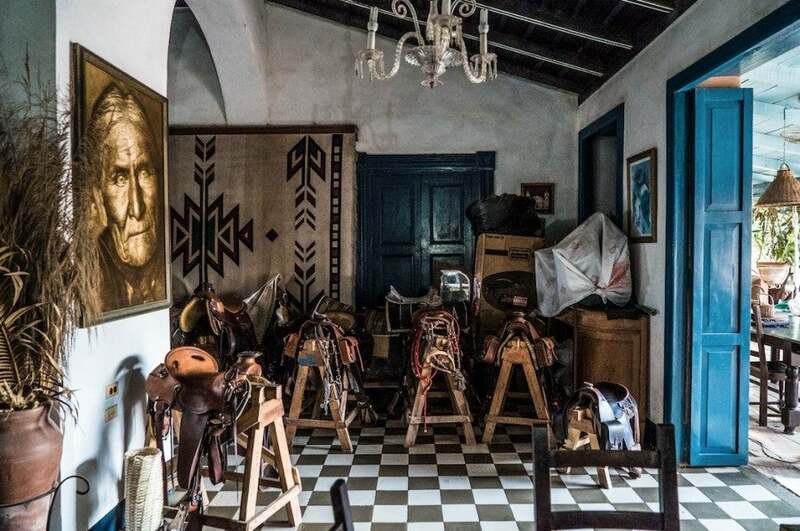 I stayed at three of these casas particulares, and it’s a unique experience. Although each of the rooms I stayed in had a private bathroom, they’re not like bed and breakfast accommodations. You’re essentially staying in these people’s homes — with them — and there’s not much in the way of privacy. You can hear everything that’s going on in the house. They’re also very basic; the beds weren’t that comfortable, and some of the rooms had their own interesting… odors, which might be off-putting to some. 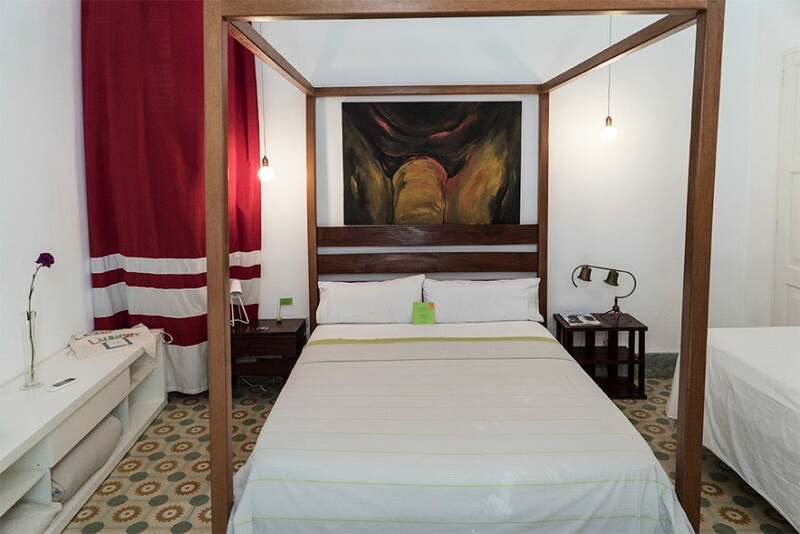 Overall, I wouldn’t recommend casas particulares if it’s your first trip to Cuba. Furthermore, if it’s your first time staying in a casa particular, I’d book through a travel agent who’s vetted the place beforehand. 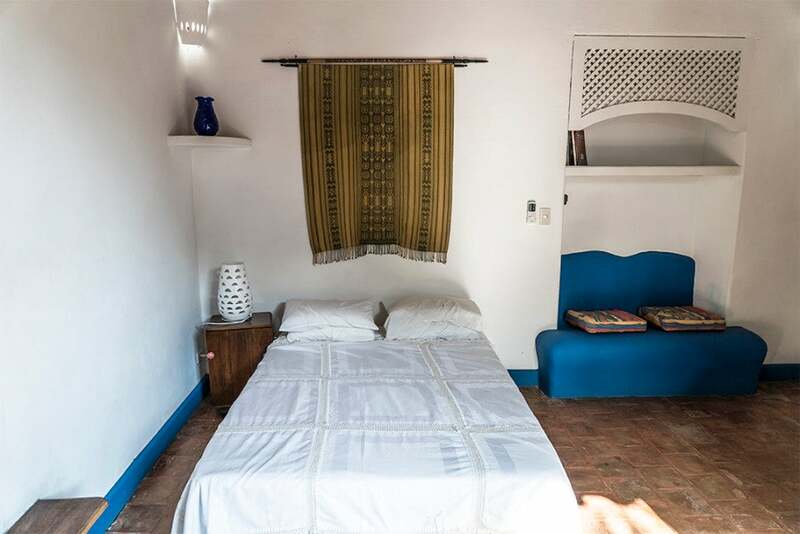 These homestays are for the more adventurous travelers, especially those who want to explore the smaller towns on the island, as casas particulares are sometimes the only option. Outdoor living at this rustic cocktail lounge on the Finca Kenia property. Our first stop was picturesque and colorful Trinidad, a UNESCO World Heritage site, and we stayed at Finca Kenia. Finca Kenia is one of the oldest houses in Trinidad, built in the second half of the 19th century on the edge of the Santa Rosa Valley. 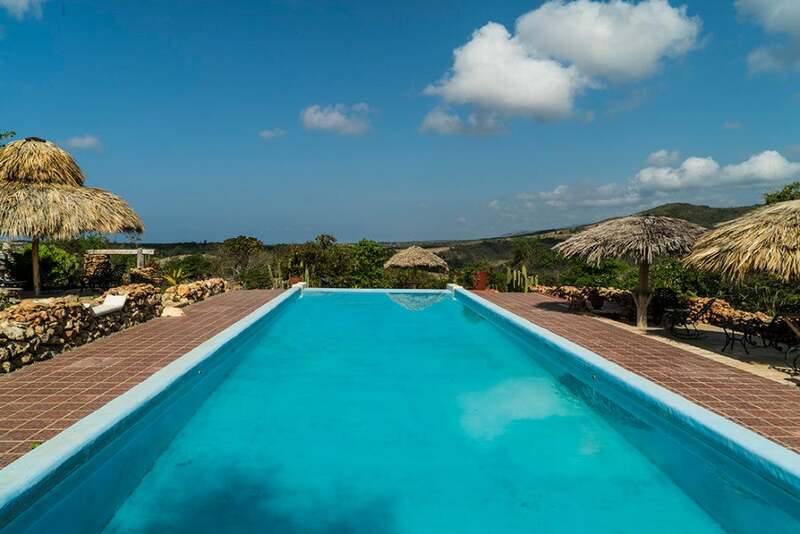 With six rooms all together — including a few generous common spaces — along with a well-maintained vegetable garden and a stable of trained horses that guests can use, Finca Kenia is a slice of Cuban life you’re just not going to get anywhere else. Daily life at Finca Kenia is based outside, whether you’re eating, drinking, swimming, riding or simply relaxing. It’s an organic flow; the interiors let natural light and island breezes inside, while the outdoor terraces and common areas manage to make you feel warm cozy. 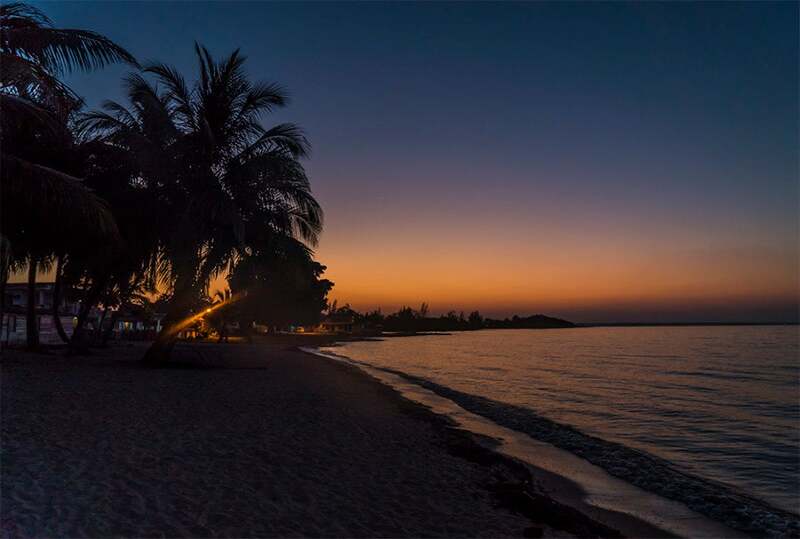 And while Trinidad itself buzzes day and night, Finca Kenia feels like a quiet haven. Hammock + sunshine = lazy afternoons. Why, hello there, swimming pool of my dreams. 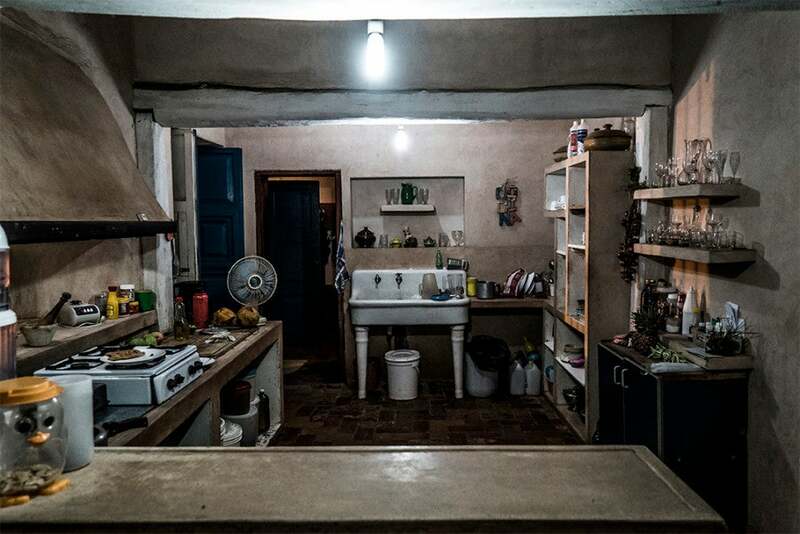 I loved the vintage sink in the lived-in, roomy kitchen at Finca Kenia. Not the most comfortable bed, but it was a big room with nice breezes. 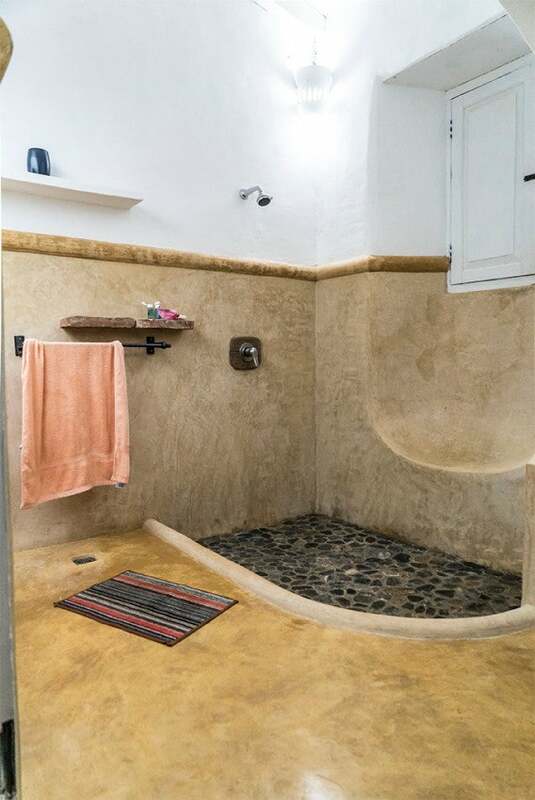 At last — a shower big enough for me! 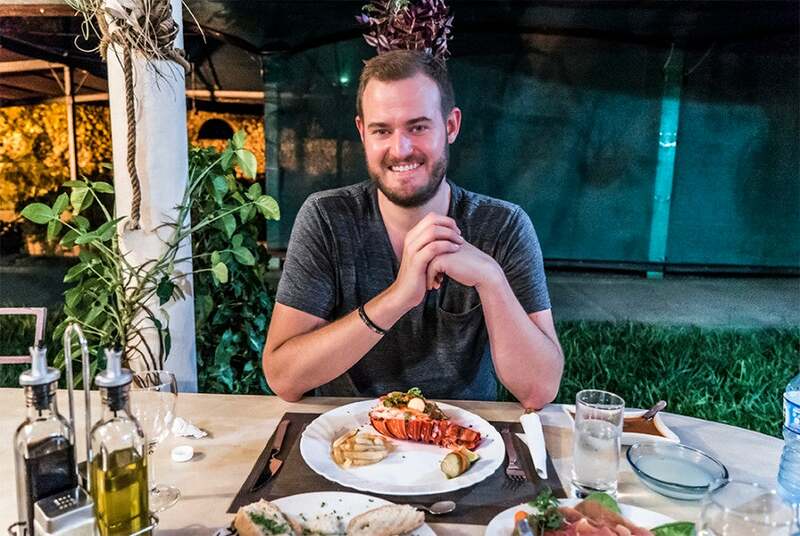 We ate dinner at Finca Kenia as well, and everything was delicious — especially the seafood— and served to us with casual warmth, as though we were part of our hosts’ family. Dinner was simple, fresh and beautifully presented, served by people who considered us family. Now this is the life! Kicking back at Casa Zuleyda in Playa Larga. 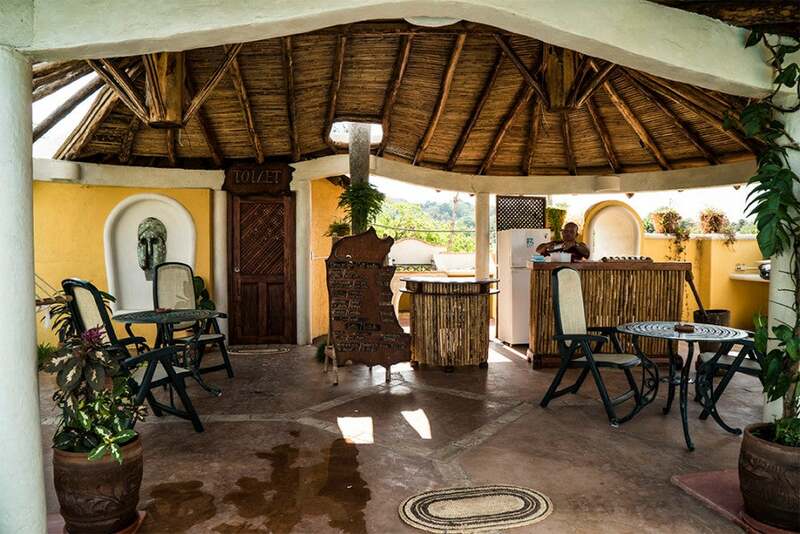 Casa Zuleyda is a more intimate experience than Finca Kenia — it’s a large house with only two rooms for rent. These rooms aren’t “designed” so much as simply furnished with the basics (although they do have air conditioning). 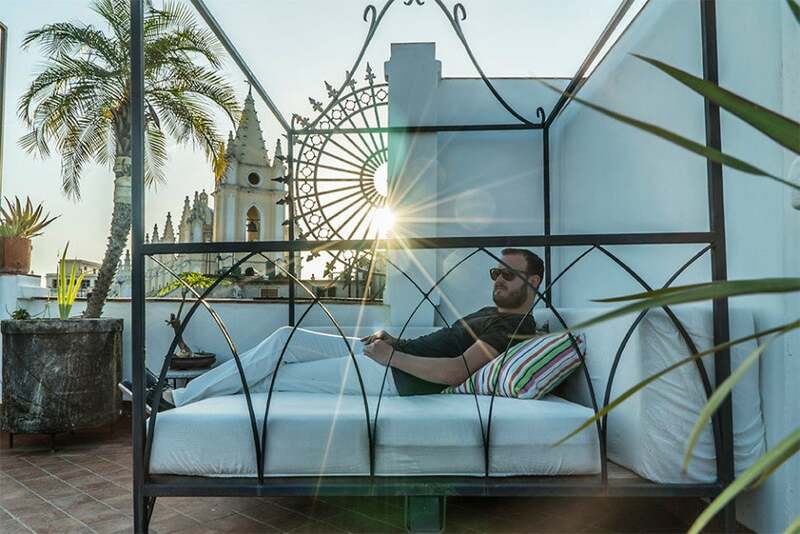 I felt like a giant in our room, and the bed wasn’t exactly a California King, but the rooms aren’t the point of your stay at Casa Zuleyda; the real star here is the front terrace, with its vibrant colors, outdoor seating, comfy hammocks and the stunning, pristine beach just a step away. 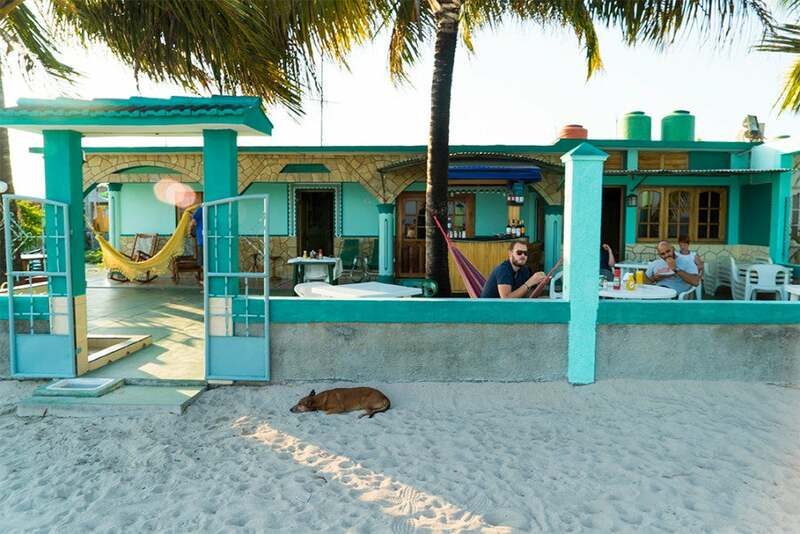 That dog has the right idea — hanging out on the beach is the name of the game at Casa Zuleyda. 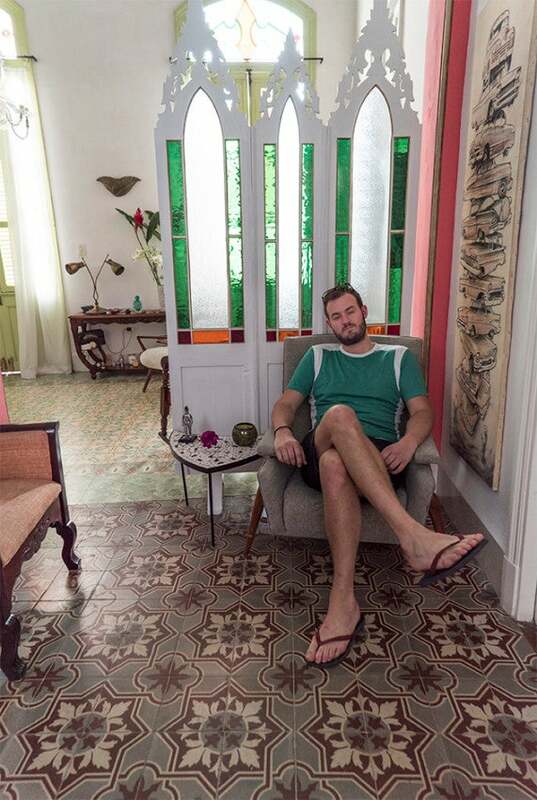 This isn’t a lobby, but a living room; Cuban homestays are an intimate affair. 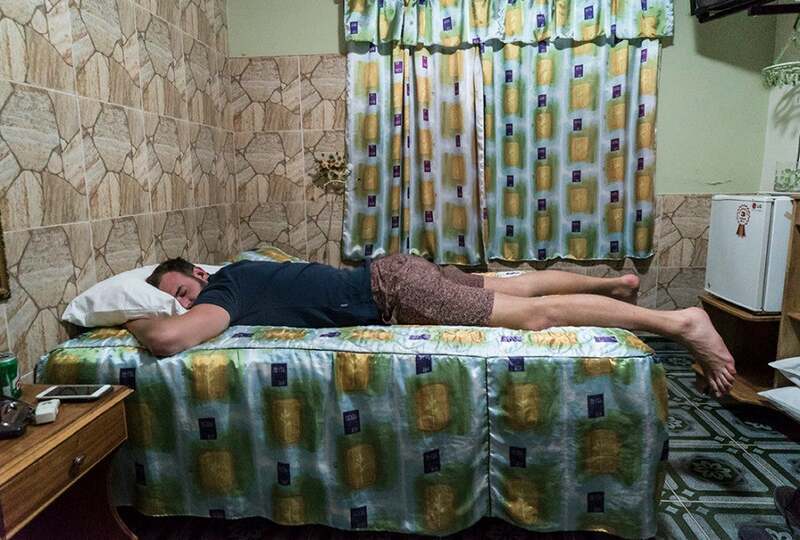 The bed at Casa Zuleyda wasn’t exactly a California King! The shore at Playa Larga, just outside Casa Zuleyda. The rooftop terrace at Casa Vitrales in Havana, an excellent place to relax. 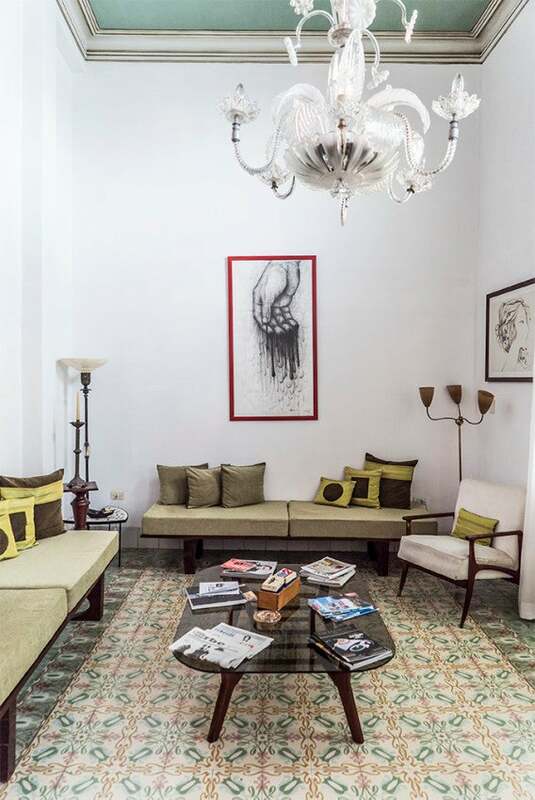 I ended my trip in Havana at the Casa Vitrales, a stylish casa particular in Old Havana, a great base for exploring the city. The double rooms feature four-poster double beds, and all have en-suite showers. There’s also a roof terrace, which is a great place to relax and look out over all of Havana. I loved the integration of original architecture and tile work with mid-century modern furnishings and interesting art. 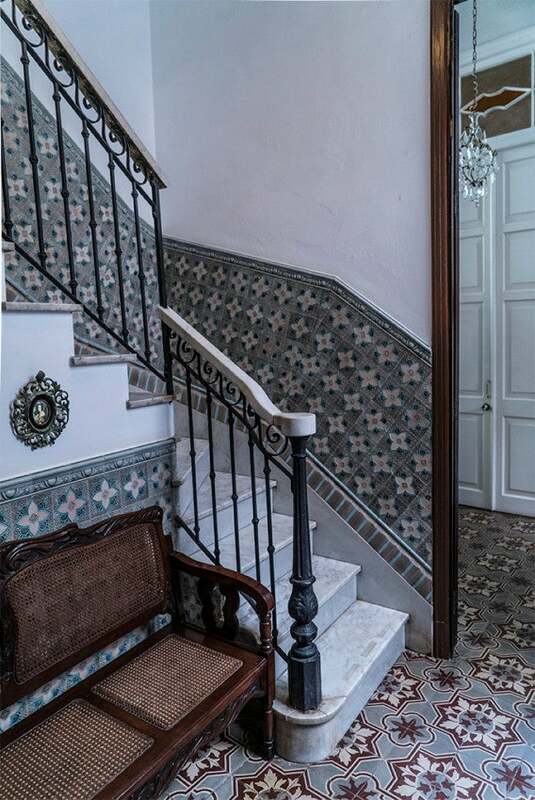 Casa Vitrales has a great sense of style, without forgetting its roots. 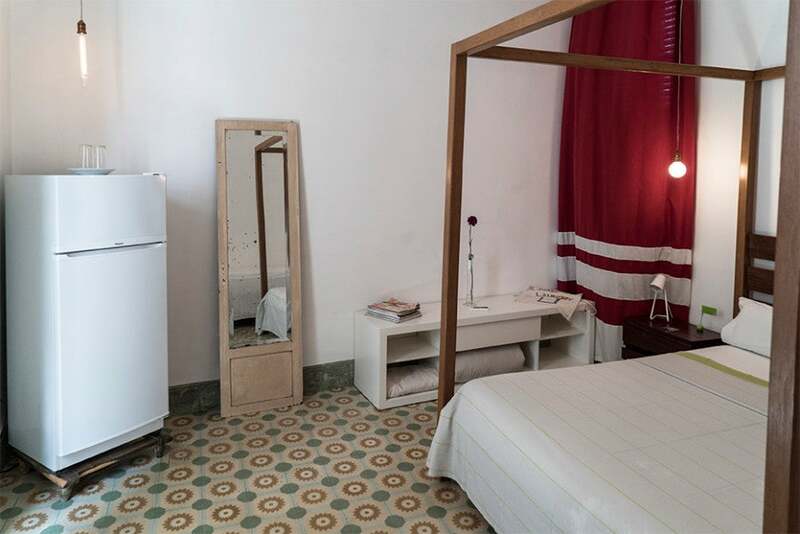 Original tiles are a staple of Havana interiors. Mid-century modern furniture at Casa Vitrales. Glass, tiles and paintings at Casa Vitrales. The four-poster bed at Casa Vitrales. No more late-night trips to the kitchen when you’ve got your own full-sized room fridge. 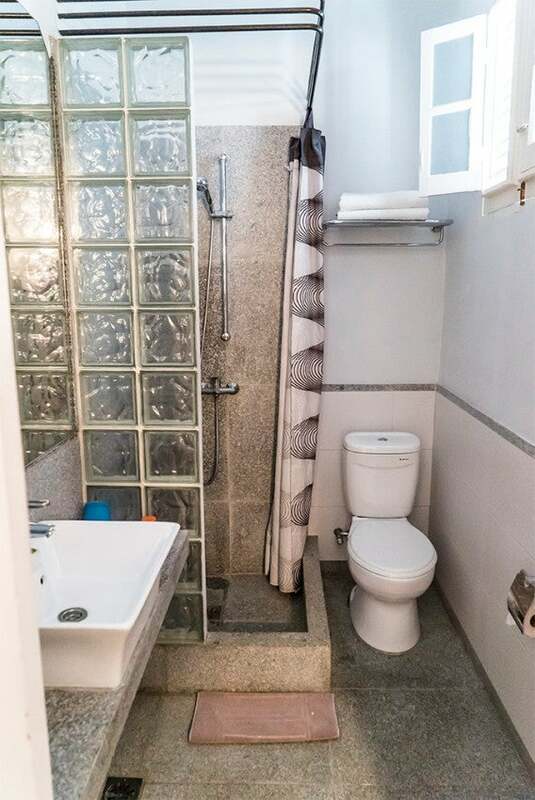 Not every shower can be the tallest shower — oh well. 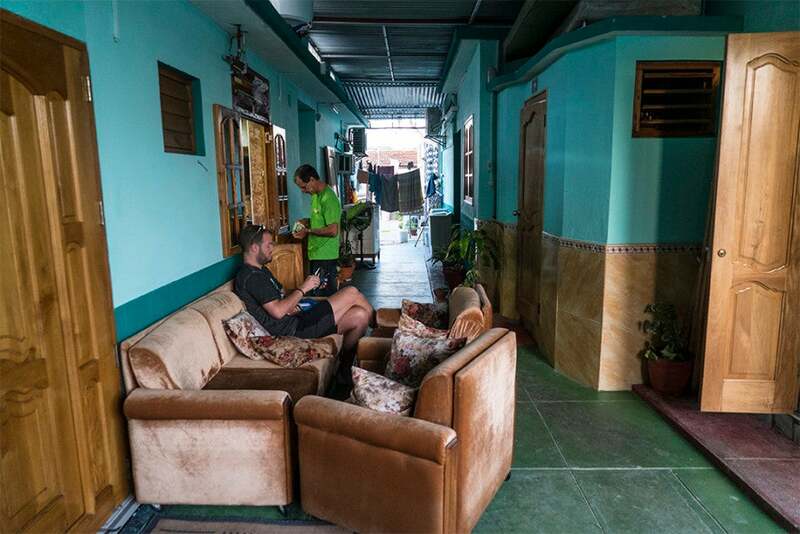 Another option for homestays in Cuba is Airbnb, which just opened for service in this island country in April. 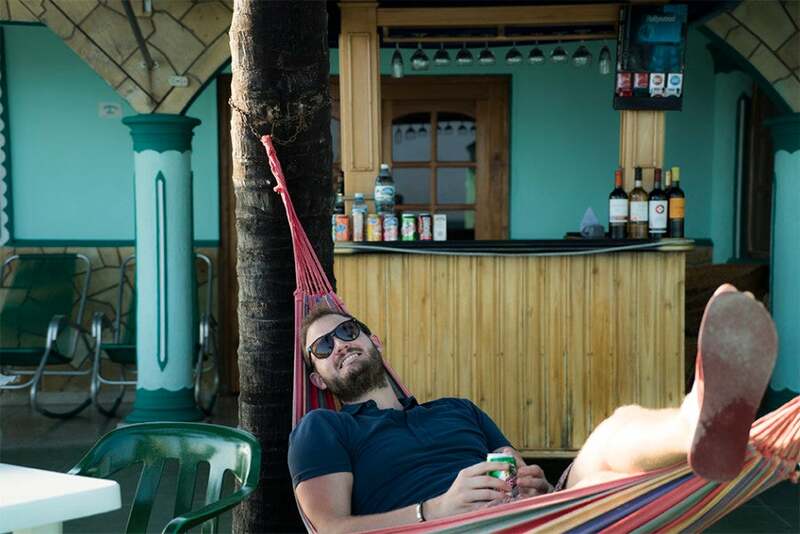 An Airbnb search for “Cuba” now yields more than 1,000 properties, with about 40 percent in Havana and the rest in tourist hotspots such as Cienfuegos, the Vinales Valley and Varadero Beach. Also be aware that Airbnb is a partner of Amex Membership Rewards, which means you can book Airbnb rentals using Amex points earned with cards such as the Platinum Card from American Express and Premier Rewards Gold. While Amex points aren’t great for hotels, Airbnb rentals will give you a decent rate of return; the Airbnb redemption rate is $100 for 10,000 points (1 cent per point), while other Membership Rewards hotel partner redemptions are 12,000 points for $100 (.83 cents per point). I tried to use my MasterCard again on my second trip to Cuba, but still had no luck. Photo by yours truly. As of March 1, 2015, MasterCard can be used in Cuba, but while American Express is planning on initiating business activities in Cuba, it hasn’t yet set up merchant relationships or terminals, and there’s no timeline for when all this will happen or when Amex cards will be able to work in Cuba. Considering the country’s relatively ancient technology and general lack of Internet service, I doubt this will happen soon, but when it eventually does, it’s highly probable that credit cards will only be accepted at major hotels.